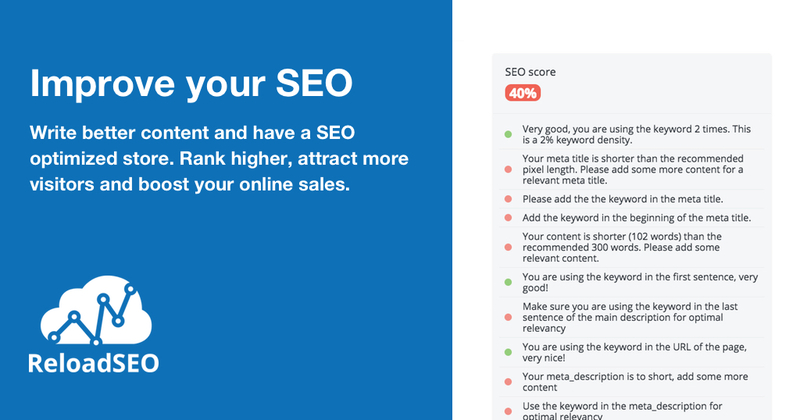 Want to rank higher and get more organic visitors, try ReloadSEO! Successful e-commerce owners know that the difference between making money and going out of business can be as simple as losing a few spots in the organic search engine rankings. ReloadSEO let's you create quality content that makes your visitors and the search engines happy. Our algorithm checks every little detail that has influence on your Search Engines Rankings and Ad Quality score. 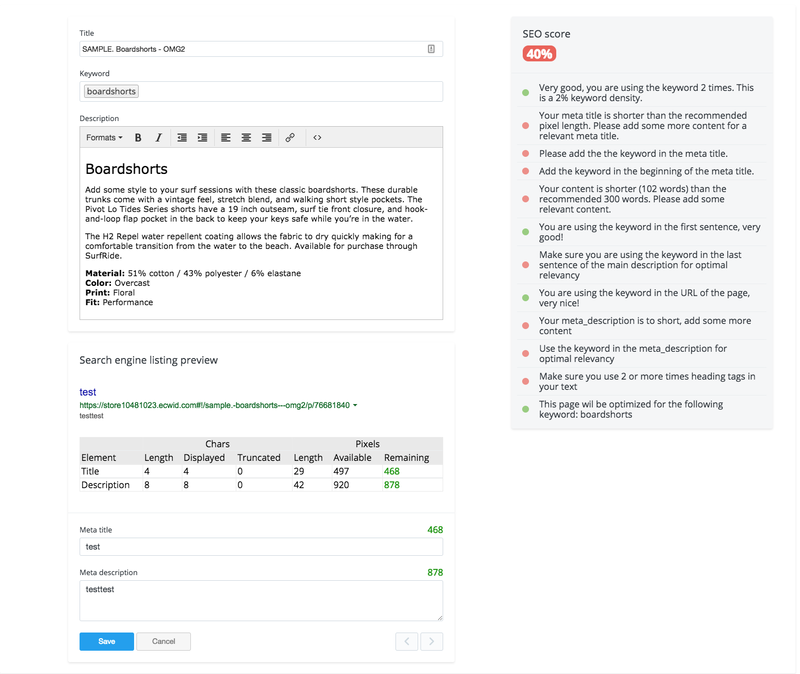 By providing direct and clear feedback ReloadSEO makes optimizing your product or categories very easy. The results? Higher search rankings, more conversions and less advertising costs!